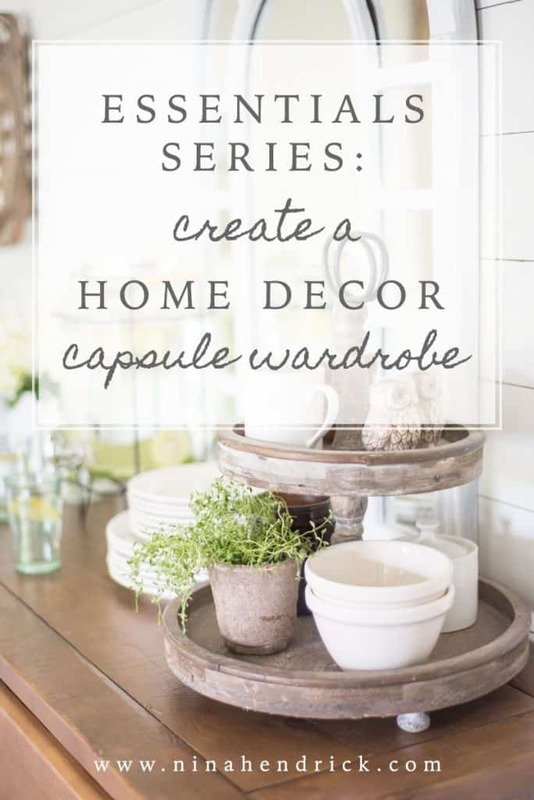 Essentials Series: Create a Home Decor Capsule Wardrobe | Apply the concept of a capsule wardrobe to your home by gathering a foundation of versatile essential items that can be circulated in your decor to create a home decor capsule wardrobe. Sometime during the last couple of weeks, I was introduced to the concept of a capsule wardrobe. I know, for the fashionable, this isn’t a new thing (I’m always way behind with this stuff). My first thought, randomly, was those little things that come out of gumball machines but filled with clothes (should I patent that?). My second thought was that this is a genius concept, not just for your wardrobe. 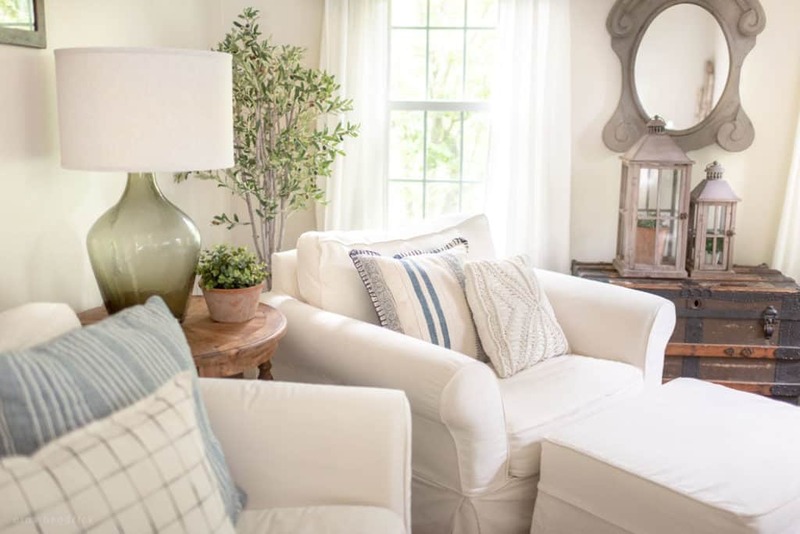 You can create a home decor capsule wardrobe and also apply it to many other categories of daily life. For those who (like me before last week) haven’t heard of this concept, the general principle is creating a small collection of wardrobe essentials that can be mixed and matched to create new looks. For someone, also like myself, who doesn’t want to think about clothing, or spend much money on clothing, but wants to look somewhat presentable and fashionable anyway… this puts the whole getting dressed thing on autopilot. Anything that saves me time, money and stress = awesome. 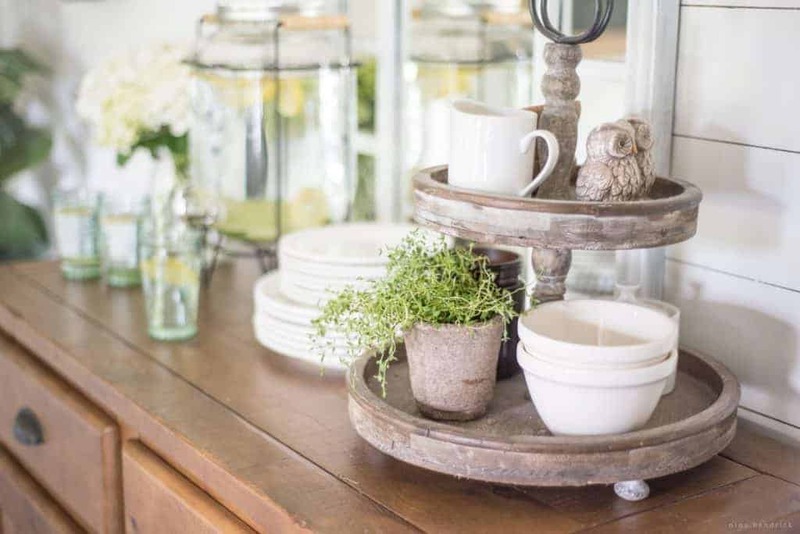 When applied to your home, creating a “capsule wardrobe” could mean a small collection of essential and timeless pieces that can be mixed and matched to create beautiful displays, to entertain, to decorate seasonally… the possibilities are limitless. I’ve decided to create a new series and compile what I consider a home decor capsule wardrobe. Or, as I’m calling my series for the purposes of simplicity, Essentials. There are often products that I think of sharing that have made my life a bit easier, but they don’t necessarily fit into a bigger post. This way I can share them with you in a comprehensive way! Here’s a sneak peek. I wanted to give you a little tutorial on the planned format of these posts. I also want to show you how these interactive images work. You can click on any of the items below, directly on the image, and you will be brought to a page where you can learn more about the item or even purchase it. I will also be adding labeled text links to the main body of the post. This is in case the image isn’t clickable on some browsers and devices. There will also be an explanation of why I included those items. Additionally, there will be an extra bonus for subscribers on each post. You can download a printable worksheet/checklist on that topic. 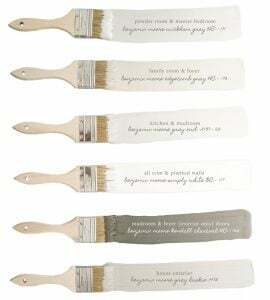 This would be useful if you are buying your first home, or creating a gift registry for your wedding, etc. I hope you enjoy this series! Please let me know in the comments if there’s a category you’d like me to feature.